Valentine’s Day is fast approaching, and romance is in the air. But can getting cozy be costly? According to a match.com survey, it costs roughly $738.36 a year, just to date, and this number doesn’t take into account the florists, restaurants, and retailers that capitalize on your need to level up your romance game every Valentine’s Day. A study by U.S. News last year found that an average of $18.9 billion was spent on Valentine’s Day, with guys shelling out over $200, and ladies around $100. In an economy where Americans spend only about $100 - 150 a week on food, those are some high numbers! Looking to turn up the passion without breaking the bank on February 14th? Here are 5 Simple Ways to Save Money this Valentine’s Day: How to bring the romance to your backyard and swimming pool. “The best gifts in the world are not in the material objects…but in the memories we make with the people we love,” says author Amanda Boyarshinov. Set the stage for your 2016 Valentine’s Day memories by creating a romantic ambiance in your backyard. 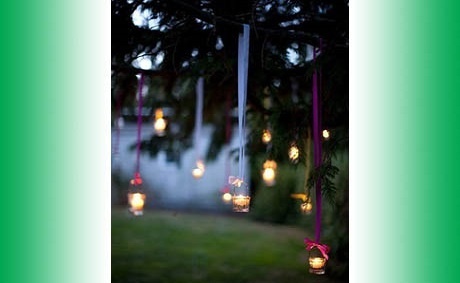 String outdoor lights across your patio or pool deck, or hang lights from surrounding trees. Be sure to illuminate any seating areas as well. A simple set of white lights can create a whole new atmosphere in your outdoor space. 2. Eat your meal picnic style. Skip the dinner reservations. Serve dinner old-school style instead—complete with a blanket on the ground and a basket full of goodies. Choose easy finger foods. Selections like fruit, cheese, sushi, or miniature quiches are fun choices you can feed to your partner. 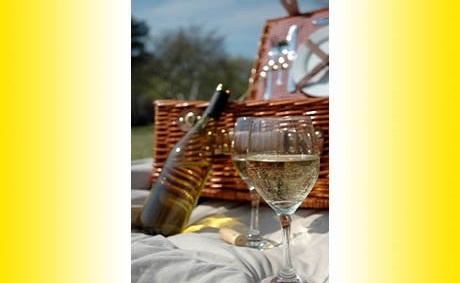 Of course, consider having some bubbly or nice wine on hand to celebrate the holiday with all the finesse of a fine restaurant in the comfort of your home. 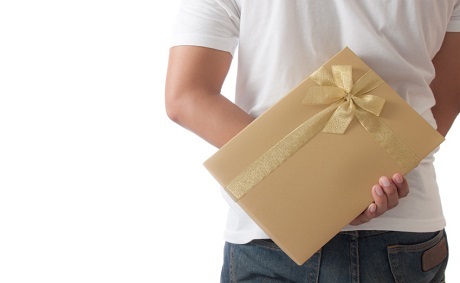 Treasure hunts aren’t just for children! Bring some fun and creativity to your evening by hiding gifts and love notes for your honey around the yard, or (safely) around the pool. Play a game of “warmer, colder” with a blindfold to add to the anticipation. Just make sure you don’t fall into the pool! Candles are a timeless symbol of romance and intimacy. 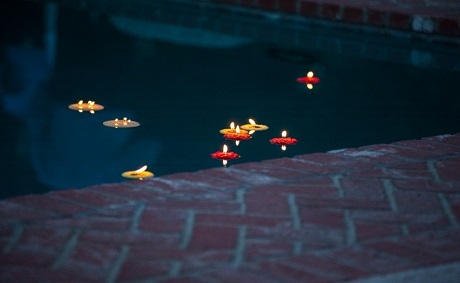 Skip the fire hazard and add to the backyard drama with these simple floating candles. As they move across the pool with their light reflecting on its surface, they help create a beautiful, elegant atmosphere. 5. Make it a movie night. Who wants to deal with the aggravation of the movie-megaplex crowd, anyway? 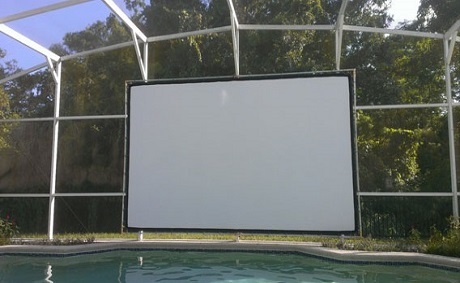 If you’re willing to make the investment, outdoor screen projectors are the next best thing—maybe even better than an in-theater film! 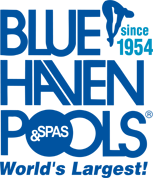 Watch your favorite romantic comedy with your lover from the comfort of your warm spa or from patio seating for an unforgettable home-theater experience. While you can’t put a price tag on memories, there are plenty of ways to save money without sacrificing the romance on Valentine’s Day! Light a spark by adding some decorative accents to your backyard and swimming pool for a special day with none of the buyer’s guilt. Using unique, affordable ways like this to say “I love you” is a great way to create memories that last a lifetime.